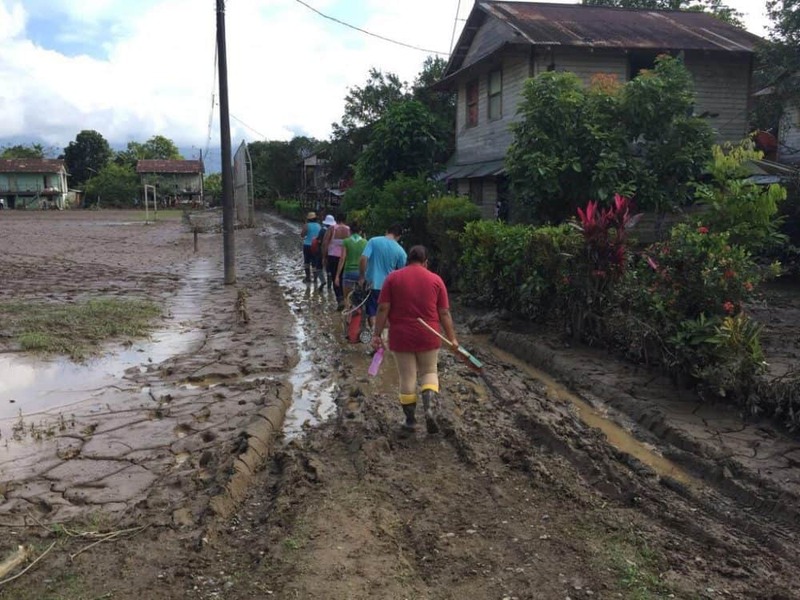 It has been a week of floods in Costa Rica: of water, mud, information, donations, stories of great sadness, and examples of extraordinary generosity. The Tico Times is proud to share with you the voices of five people around the country who have been affected by Tropical Storm Nate and have played a key role telling the stories of its victims or helping others recover from its impact. We hope to feature more such stories in the coming days. In some cases, their first-hand accounts have been edited for clarity. Ahh, to see the families that don’t have any mattresses, a way to cook, gas – their kitchens are full of mud and puddles, sometimes more than 15 centimeters. It’s incredible to see people’s feet cracked from being soaked in mud [for days]. In every house we went to, my heart got smaller and smaller. This is a very poor town. We never thought we would be able to collect much. We ourselves were surprised by people’s generosity. Starting on Monday, the Caminos de Osa Association, the ASADA [local water management institution], businesses and many neighbors got together to collect food. About 15 of us were organizers, and today we had 60 people volunteering… in a town of 2,000 people, with many economic problems, problems of all kinds. Today we provided 110 meals for people and cleaned 30 houses. It might take three months for our community to get back to normalcy… but I’m so grateful to everyone who helped us. I want to tell everyone that if we come together, we can make a difference and help out. Rocío Vargas is the owner of the Soda Las Palmas and a leader within the Asociación Caminos de Osa. Learn more about the Asociación here and donate to Southern Pacific relief efforts here. We lost everything last year in Hurricane Otto. The water came in our house, two meters high, and we barely got out – my son was only six days old. It was night and we couldn’t see anything. It was awful. The next morning there was nothing left: the houses were gone, people had died. The people of Costa Rica never forgot us. [Because of individual donations] we never wanted for food, clothes, or anything… so we didn’t hesitate to help [when Nate came]. Here in Bijagua, the rivers swelled but didn’t overflow. People were scared – I won’t deny it. Whenever it rains hard now, my nerves act up. You never know what can happen. But nothing serious happened here. Once it was over, we found out how other communities had fared. My wife and her siblings, and my brother and I, did a little campaign here: clothes, shoes, water. A really special family brought mattresses and a TV. We organized a trip and we went to Filadelfia, all the way to Santa Cruz and Tamarindo, and handed out all the donations. Antony Ugalde lives in Bijagua with his young family and works in transportation. Read more about relief efforts based in Bijagua on the Facebook page of local business Casitas Tenorio. You can also donate to relief efforts in the Guanacaste area here. Here, Nate kind of slid in unannounced and unnamed and was hard to notice after weeks of heavier than normal rainfall… but by 3:30 a.m. I was up with a flashlight wondering about what looked to be an open crack in the newly planted grass – close to the gravel area we’d just finished as the final touch for the front yard. By the first morning light, I wondered if it was my imagination that the retaining wall looked just a little bit lower on one end. I fixed coffee and was sitting at my computer checking emails and Facebook when suddenly I heard a huge, unidentifiable sound – a roar. The dogs started barking… Opening the front door I simply stood in complete disbelief. Shock, actually. Over half of the front yard – with the grass, the bougainvilleas, the gravel edging, the carefully tended gardenias and vines and the entire retaining wall was gone… Huge concrete and steel beams that had been anchored to the wall had been ripped out of the earth and were standing semi upright looking like totem poles or a bizarre caricature of Stonehenge… my neighbors were trapped in their house below and had no electricity or phone because of my mudslide. Meanwhile, all of Costa Rica was being hit hard by this storm, the likes of which no one could remember. 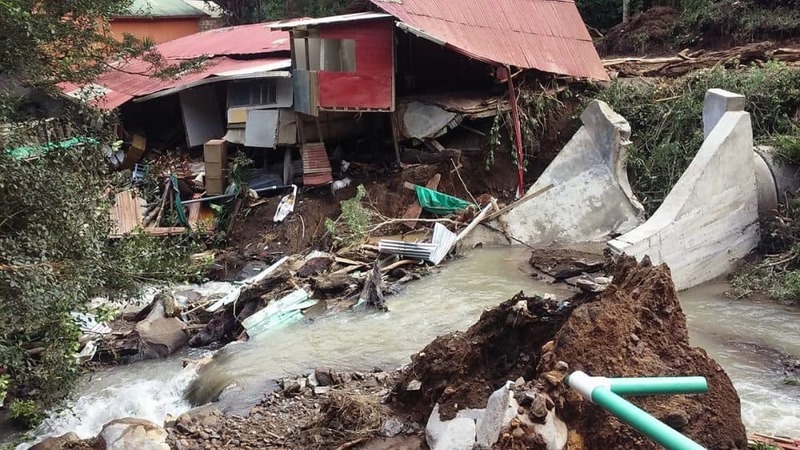 Over the day the reports just did not let up – several bridges in the San Isidro area were destroyed or damaged and unusable and had trapped many people. Mudslides and landslides were everywhere. A Musoc bus was trapped between mudslides on the Pan American Highway and power poles crashed leaving large parts of the population without electricity. 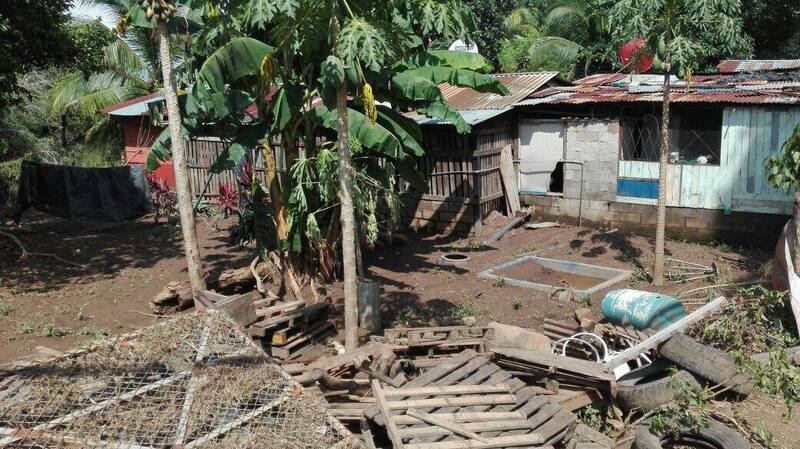 A dam failed that provided fresh water to most San Isidro residents – 35,000 people. Jan Hart is a writer and artist who lives outside Pérez Zeledón. Read our “Weekend Arts Spotlight” interview with Jan here. 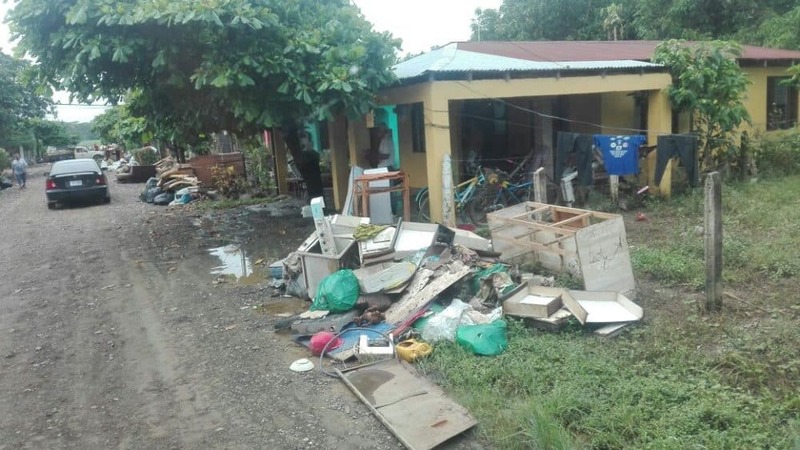 For more information on what’s happening in the Southern Zone and how to help in the areas around Pérez Zeledón, check out this week’s edition of the info-packed regional newsletter The Chayotevine. We were honored to host fifty people from La Carpio who didn’t sleep a wink last night because a landslide fell into their houses. Damaris, Ana and Jaki put together a huge pot of chicken soup, hot chocolate, rice, bread and juice. It was fantastic. Au contraire, mon frere. Imagine my surprise when I saw them all looking intently at the pages of the books. 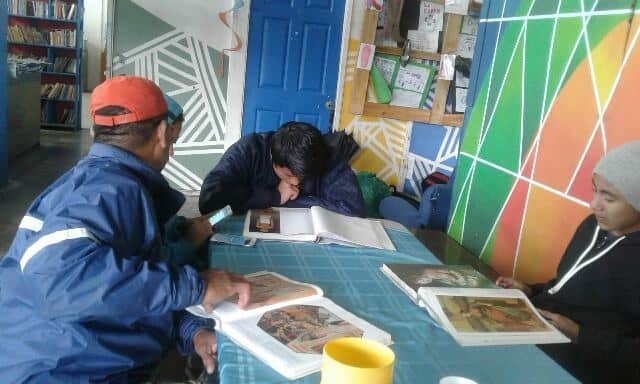 I sat with them and was delighted when one of the boys turned the page of the book about the Louvre, and here appeared the Starry Night of Van Gogh. He gasped in awe when he saw this painting. He stared and stared. I asked him, “What does this painting make you feel? He said, Some sadness. Some awe. Then another, older man said it makes me think of the greatness and the vastness of the universe. The stars, the moon, the clouds. It was like the experience they were living. Losing their houses to the forces of nature was just part of this painting and the greatness of nature. I am just so lucky to be able to facilitate these kinds of moments for people, for me and for all of our human kind. Gail Nystrom is the founder of the Costa Rican Humanitarian Foundation, which is based in Santa Ana and serves at-risk and special needs populations. Read more about the organization’s work with victims of Tropical Storm Nate on the Foundation’s Facebook page. It had already been raining for three weeks straight. The ground was completely soaked. Every new drop was run-off — and then our little temporal added another 20 or 25 inches of rain to the mix… The effects started in the wee hours of Friday morning. 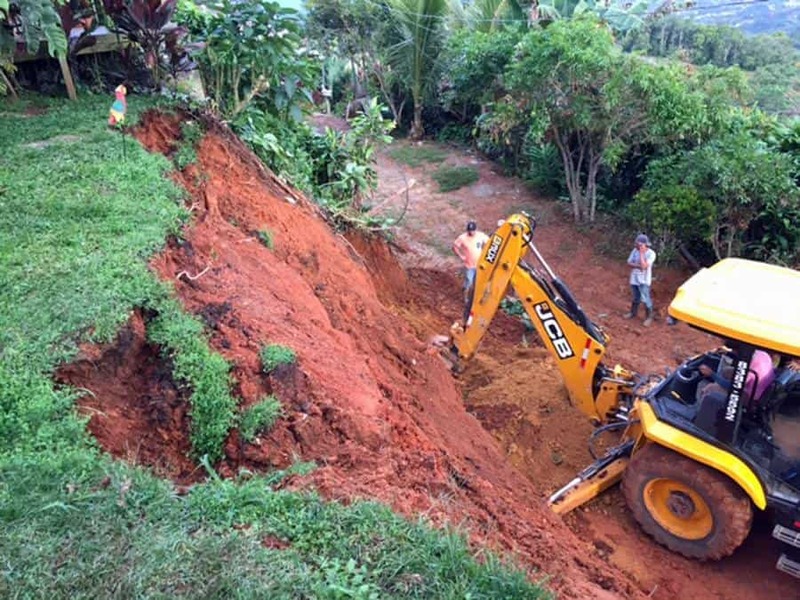 As power, water and telecommunications went out, the landslides started. When phone service and internet returned at least in part to Monteverde on Saturday night and Sunday, multiple residents commented that they were lucky to be part of the best-organized, best-supplied, most resilient community around. I agree, and also believe this description fits the larger community in and around the district. Marshall Cobb is the author of the Tico Times column “Dispatch from Monteverde” – read his full account of Nate here. You can make a U.S. tax-deductible donation to the Monteverde Community Fund’s Nate recovery efforts here.